TerraCycle Regulated Waste (formerly known as Air Cycle) is the manufacturer of the Bulb Eater fluorescent lamp crushing system and nationwide provider of recycling solutions for lamps, ballasts, batteries, electronics and sharps. Our parent company is TerraCycle, who "recycles the unrecyclable" by devising unique solutions and platforms for the recycling of items ranging from PPE to coffee capsules and much more. 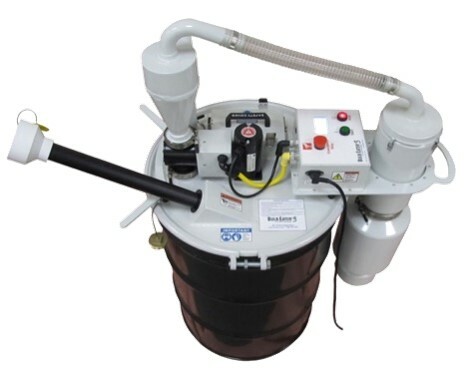 The Bulb Eater® 3 is the next generation of Bulb Eater® Lamp Crusher which crushes spent fluorescent lamps of any length into 100% recyclable material while capturing over 99.99% of the vapors released. The system, which is mounted onto a 55-gallon container, can hold up to 1350 4-foot fluorescent lamps.